“We’re kind of new around here,” Joanna Grant, partner at Los Angeles–based Bureau Spectacular explained while taking a coffee break on a desolate sidewalk outside the shabby three-story commercial building that houses the firm’s recently relocated offices. “We got priced out of Downtown,” she said, before motioning toward the structure, which is currently occupied on the ground floor by a security door company that has strung up its various prototypes—drop-down metal doors, accordion style–security grilles—along the brick building’s thickly painted facade. The ecstatic setting is well-suited for the firm, where on the uppermost level, Grant and Bureau Spectacular founder Jimenez Lai helm an already storied practice that is hard at work tinkering away on a collection of new and evocative works that span the full spectrum of practice– “from spoons to cities,” Lai later explained, echoing a famous line by Italian architect Ernesto Rogers. Though the firm has been in existence for nearly 10 years—first as a solo project by Lai and starting in 2016 with Grant as a partner (Grant originally joined the office in 2013)—and has achieved worldwide renown for its eye-catching formalism and genre-shattering typological amalgamations, current projects under development—accessory dwelling units, social housing schemes, private residences—have the potential to reshape the image of the firm wholesale. 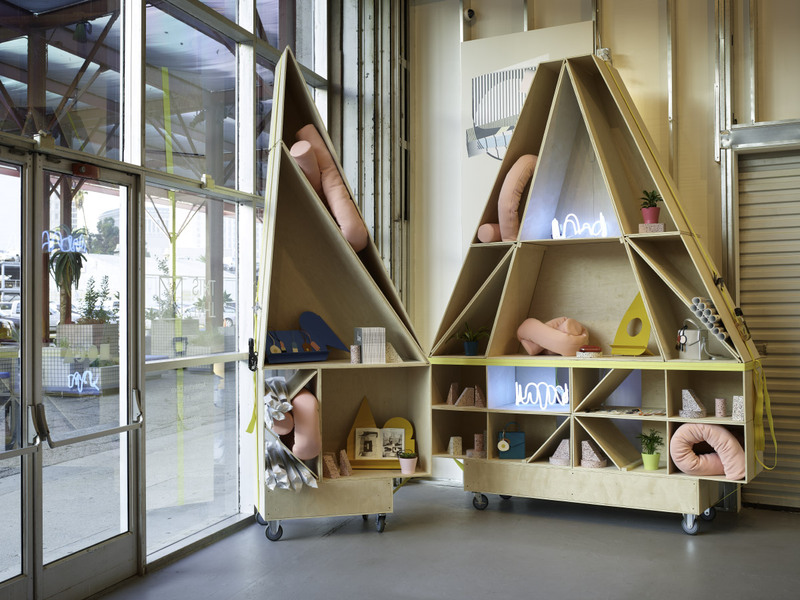 As the designers pivot from fuzzy worlds, architecturally inspired comic books, and super-scaled installations toward built work, furniture and product lines, and gallery exhibitions, a chief question is on the table: Is Bureau Spectacular growing up? 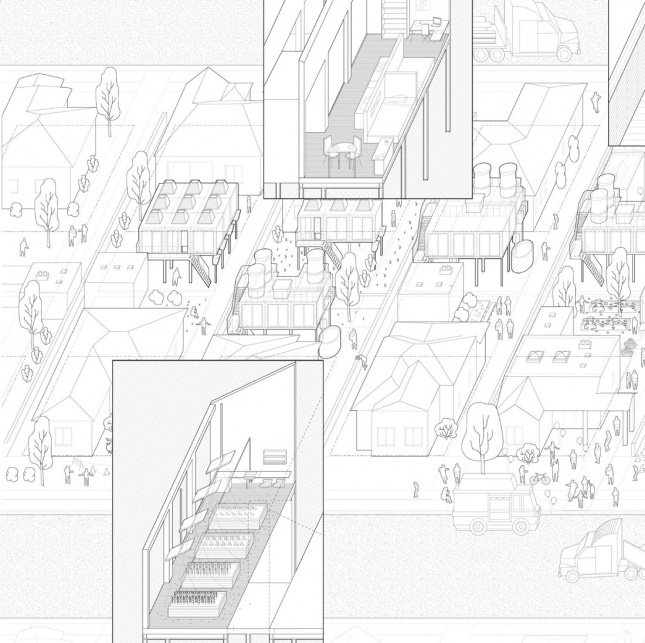 The office is also working toward several housing experiments, including still-under-wraps social housing schemes and a custom home for a client located in Joshua Tree, California. 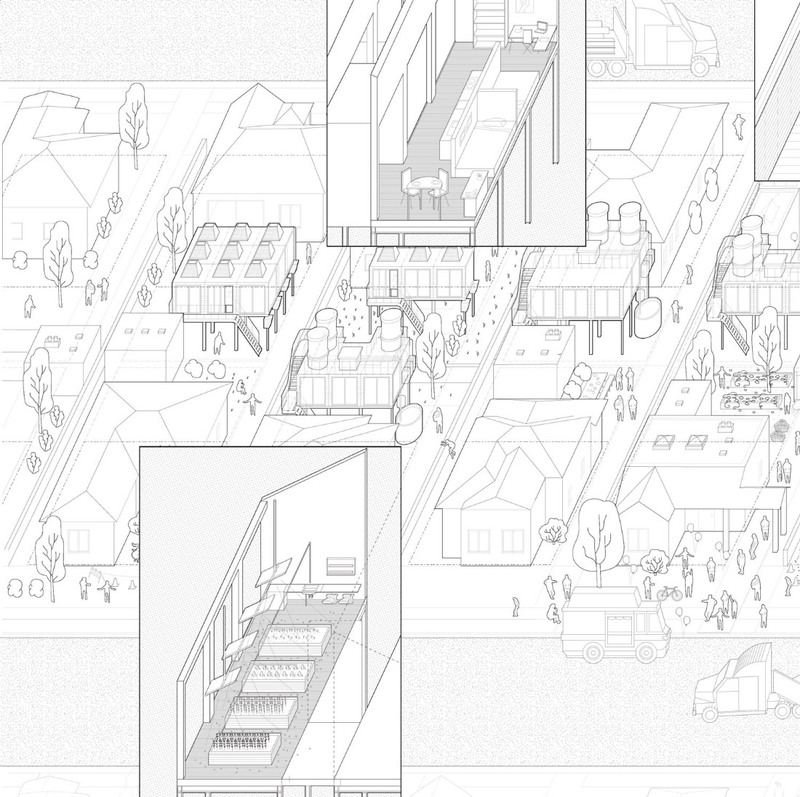 The radical private home is a love child of Le Corbusier’s “five points of architecture,” Philip Johnson’s Glass house, and the suburban tract home. The project features specifically calibrated window hoods that point the home’s eyes away from an unfriendly neighbor and hints at some of the formal and symbolic forays Bureau Spectacular might soon take in its work. 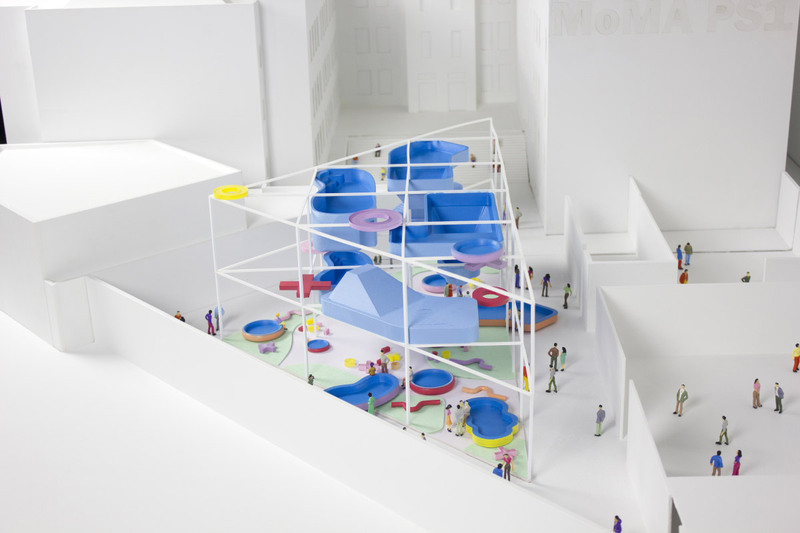 Building off of Tower of 12 Stories, Bureau Spectacular’s proposal for the 2017 MoMA PS1 Young Architects Program envisions a collection of ready-made swimming pools raised above the museum courtyard and filled with circulating water to create a “lightweight framework safe for five thousand drunk people” to enjoy. Designed in collaboration with Matthew Melnyk of Nous Engineering, the pools are orchestrated to shade partygoers via evaporative cooling and are designed to utilize minimal materials for maximum aesthetic result. A metal scaffolding supports the oddly-shaped pools, creating an installation inspired in equal parts by Cedric Price, Kisho Kurokawa, John Hejduk, and Yona Friedman. 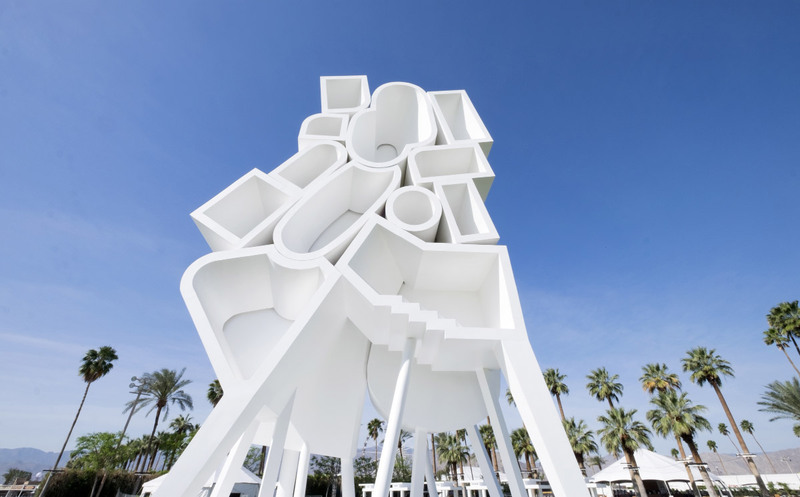 Lai, who is “approaching 40” and finds himself caught between the freewheeling days of his cartoon-addled youth and new potential endeavors in social housing, is perhaps most popularly known in the non-architecture world for the firm’s 52-foot-tall, piloti-supported Coachella installation from 2016, A Tower of Twelve Stories. According to Lai, the all-white stack of funny shapes is meant to represent a sectional model through a fictitious apartment building and is inspired in part by the no-space theories of Rem Koolhaas. 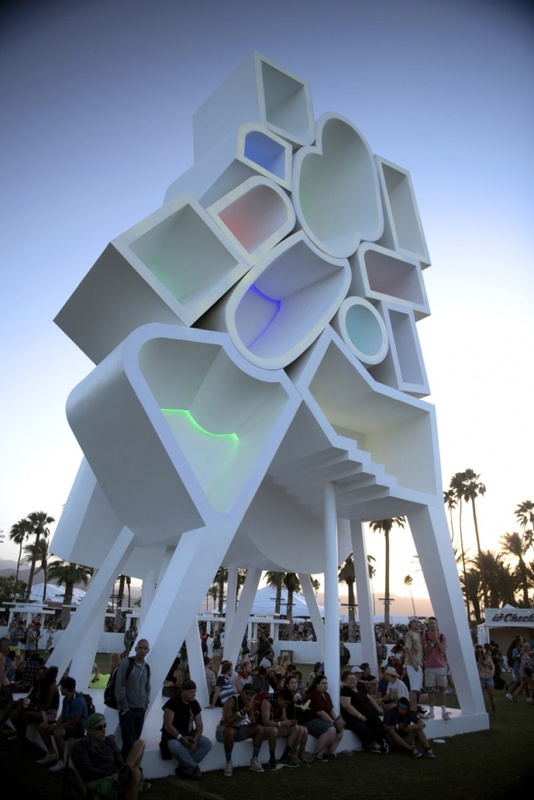 The steel-supported and plywood-wrapped installation is designed as “a tower without typical plans, but rather specific rooms with specific geometries” and was lit up in a sea of ever-changing colors when installed in the High Desert two years ago. “We’re still young architects; we’re just less immature now,” Grant clarifies when the question of Bureau Spectacular’s age comes up. As the practice has matured, however, many of the defining characteristics of its earliest works have remained, including the approach of considering design at the intimate scale of the human body. Grant and Lai have various product lines in the works, including a roughly seven-foot-long body pillow designed by Grant that can be twisted into knots around the body or looped around one’s neck like a scarf. The scarf is currently under production and was recently for sale at the THIS X THAT Pop-Up at MOCA Geffen Contemporary in L.A.
A common thread throughout Bureau Spectacular’s work involves imbuing orgiastic fun into everyday typologies, a notion the team applied to a recent Los Angeles County–sponsored ideas competition for accessory dwelling units (ADU) called YES to ADU. Bureau Spectacular received an honorable mention award for the contest with the firm’s Backyard Urbanism project that proposes more or less to collectivize neighborhood backyards with multifunctional ADUs that each perform beneficial neighborhood services like providing shared swimming pools or acting as large-scale receivers for satellite television signals.